Sleep is just something that we all have to do, like eating. But when it comes to healthy living most people don’t view it as something that is as important as what we eat. But now the National Sleep Foundation has come out and said officially that sleep is just as important as diet and exercise, and without it, we’re putting our bodies at risk. The fact that sleep is required for normal functioning throughout the day is widely accepted. But what is less accepted, at least among the general public, is the idea that our sleeping patterns can have a long-term impact on our health. We’re used to nutritionists going on about the importance of eating a diet full of green leafy vegetables. And we’re used to fitness gurus tell us how important it is to lift weights, do cardio and move every day. But we seldom hear from sleep experts about the importance of a good night time routine. Most doctors recommend that people get between seven and nine hours sleep per night. If you’re older than about 55, you’ll probably get less than this, thanks to the fact that your brain is less able to assimilate the hormone melatonin. 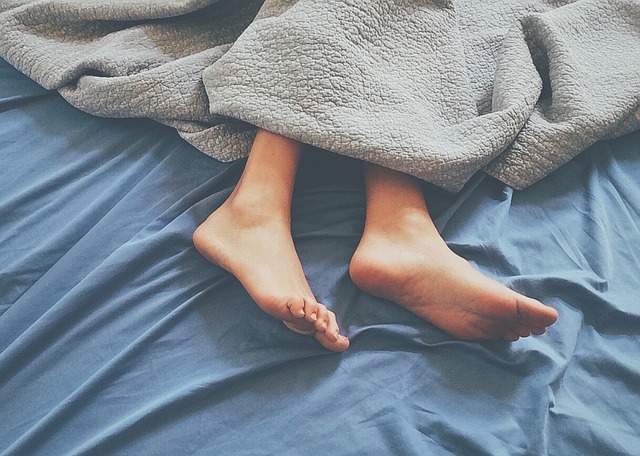 If you’re younger than about 21, you’ll need more sleep. Some teenagers can require 10 hours of sleep a night to meet their needs. But recently, science has started weighing in on the issue of sleep more and more, adding to what doctors have been telling us all for years. There have been a plethora of studies on different aspects of sleep, covering everything from how it improves your memory to spiking your creativity. Let’s take a look at what the science has found so far on the subject of sleep. Recently, there’s been a big jump in interest in so-called “nootropics.” These are compounds, often found in food, but sometimes consumed as drugs, that allegedly improve cognitive performance. One highly acclaimed natural example is the spice cinnamon. (Perhaps you could start sprinkling some of the stuff on your porridge). But science has now uncovered that sleep might be the greatest nootropic of them all. Researchers at the University of Ghent over in Belgium investigated the sleep patterns of more than 621 students through a series of interviews. It turned out that the students who increased the amount of time that they were asleep saw a 1.7 point increase in their test scores, on a scale of one to twenty, on their exams. In other words, they got roughly 9 percent higher marks on their test scores, just from adding an extra hour of sleep. (Remember, at University, 9 percent translates to almost an entire degree classification). The leader of the study, a certain Dr. Baert, said that, in a nutshell, students that actually slept were the ones who did best on their exams. They say that creativity comes from our emotions, and when scientists have looked at the brains of highly creative people while they are doing work – like artists – they find that it is indeed the creative parts of their brains which are most active. But now scientists from the University of Boston think that they have found a link between sleep and emotion which might explain higher creativity. Researchers looked at a bunch of people to see if more sleep was able to bump up their creative processes. The scientists believed that during sleep, people strengthen the neuronal connections that form their “emotional” memories. This strengthening of connections, they suggest, might be able to explain why people who get a lot of sleep tend to be more creative. For centuries, highly creative people have talked about how they have been inspired to do or create something as a result of a dream, or how they have been motivated to wake up in the middle of the night and jot down new ideas. Perhaps a good night’s sleep, then, is all we need to wind up like Picasso. You probably know somebody who seems to have a fantastic memory. They’re the person who’s able to remember exactly what was said in a conversation two years ago, and they always seem to know their way around new cities, despite having only been there once before. What is the secret of these people? It turns out it could be sleep, according to a study by Thomas Schreiner and Bjorn Rasch from the University of Fribourg. They performed an experiment where they included additional emotional cues while people were sleeping to see if their memories were better consolidated. For instance, if the person had been to an Italian restaurant during the day, they introduced the smell of cooking oregano and passata while they were sleeping. According to the researchers, doing this helped to strengthen the memories of people who were sleeping, suggesting that sleep can be used as a tool to reinforce stuff that we’ve learned during the day. It’s been known for a while that sleep consolidates memories and eccentric people have often claimed that going to sleep while listening to a tape of a foreign language has helped them learn that language. But now we finally have evidence that the sleep environment really can affect the formation of memories themselves. Pretty cool stuff. It seems that sleep is essential for keeping us healthy, both in the short-term and in the long. Take a study by WebMD, where they deliberately exposed people with different sleep habits to the cold virus. It turned out that people who got less than seven hours of sleep a night were almost three times as likely to get sick than those who got at least eight hours, indicating that sleep is essential for keeping our immune systems active. Another study by the American Academy of Sleep Medicine seems to confirm this. They found that people who got a healthy duration of sleep, which they defined to be between seven and eight hours, took significantly less sick time off work than those who slept less than that. According to the researchers, those who were sleeping less than six hours a night saw dramatic increases in the amount of extended time that they were taking off work. And finally, according to the NIH in the US, around 80 percent of people will at some point suffer from back pain. Back pain, especially at night, interrupts sleep and prevents people from using sleep as a way to get healthy. Many people think, including top researchers, that some types of modern mattresses are to blame. Find out from Mattress-Guides.net if you could be at risk. It’s been suspected for a long time that a lack of sleep and depression are closely related. But it’s only recently that the science has really caught up with people’s suspicions. The Academy of Sleep Medicine recently conducted a study which seemed to confirm the general findings in the literature. They found that lack of sleep increases the severity and risk of major depression in a study published at http://www.aasmnet.org/. According to the researchers, sleeping less than six hours per night increases the risk of major depression, especially among adolescents who actually need far more sleep than the average adult. The president of the Academy wrote in the report on the experiment that healthy sleep was necessary for both physical and emotional wellbeing. There’s also some evidence that the timing of sleep is highly correlated with negative self-talk, one of the primary precursors to a depressive episode. Researchers writing in Cognitive Therapy and Research Study found that sleeping schedules themselves actually made a material impact on people’s thoughts, whether they were positive or negative. The more people strayed from their natural sleep-wake cycle, the more negative were their thoughts about themselves. The researchers also found that the length of sleep affected what they called “higher levels of repetitive negative thinking” or what we might call negative self-talk. What was so interesting about this study was the fact that it wasn’t just the length of sleep that counted: it was the timing too. People who went to bed soon after it got dark and got up when it got light outside tended to be the happiest and the healthiest. Athletes are constantly looking for legal and natural ways to get an edge over their competition. Because of this, a huge amount of research has been directed toward finding out the best diet and exercise regimes. Now, though, Stanford researchers, Cheri Mah is asking whether sleep itself can improve athletic performance and whether more sleep will give competitors an advantage. You would have thought that in 2014 when Mah began the research, other scientists would have done some work on the subject. But to her surprise, nobody had. Mah found that basketball players who slept longer had better three-points shooting accuracy. Their shooting accuracy increased by more than 13.7 percent after they had had a good night’s sleep.